There was a father who lost his job and began suffering under the cruelty of poverty. Being unable to provide for himself or his children, the devastating results of unemployment brought him to a place of hopelessness. Struck by this advertisement, the father called the phone number. A volunteer answered and advised the father not to sell his child. Moreover, the volunteer met the father, shared the Good News, and, as a result, the father came to faith in Jesus Christ. This story happened weeks ago in South Sudan because of GCM Ministries’ Mega City Evangelistic Campaign. The billboard, television, radio, and internet advertisements we purchased to promote the Gospel are making an eternal impact. Our call centers are still receiving thousands of calls, and we’ve decided to extend this Gospel outreach beyond our initial planning. 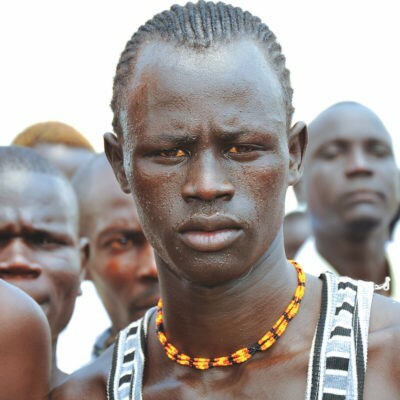 Seeing the South Sudanese people place their faith in Jesus is something we’re passionate about. We’ll stay here as long as God allows. Will you partner with us in this Gospel outreach? We have needs for many more Power to Forgive Evangelistic Books. Each book can lead many people to faith in Jesus Christ. Thank you. Your prayers and gifts carry the Gospel to hurting souls. P.S. U.S. and Canada gifts are tax-deductible.